The president of the United States is currently campaigning to keep his job. If for some reason he isn't reelected, he may want to try his hand at NFL GM, because that man likes to offer talent advice to the Bears. At a campaign event in San Francisco, President Obama thanked San Francisco 49ers tight end Vernon Davis for attending, and then made a proposition to the man who was key the 49ers playoff run. "If you want to come and play for the Bears, you are welcome to do it. Vernon had a great playoff. I mean, he had a great playoff. Unbelievable," the president said at the top of the speech. The President welcomed the Super Bowl Champion Green Bay Packers to the White House and proposed a trade of Aaron Rodgers to the Bears. Dig at Cutler? Davis did have a great season. After clashing with former Bears' linebacker and former 49ers coach Mike Singletary during the 2010 campaign, Davis came back in 2011 and tallied 67 catches for 792 yards in the regular season. During the 49ers playoff win over New Orleans, it was Davis who made the key catch with nine seconds to go to put San Francisco ahead. Unfortunately, Davis is only two years into a six-year contract with the 49ers, and the Bears would have to move heaven and earth for the 49ers to agree with the trade. Not even an executive order could help here. We're assuming that the prez is a bit too busy governing to know the ins and outs of the 49ers contracts and salary cap. It's not the first time President Obama has tried his hand at talent evaluation. 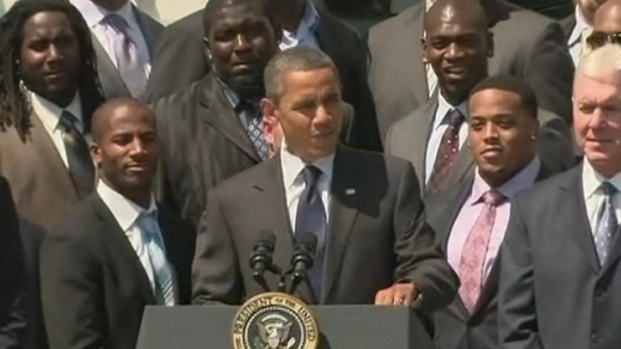 After the Green Bay Packers won the Super Bowl in 2011 they went to the White House for a ceremony. 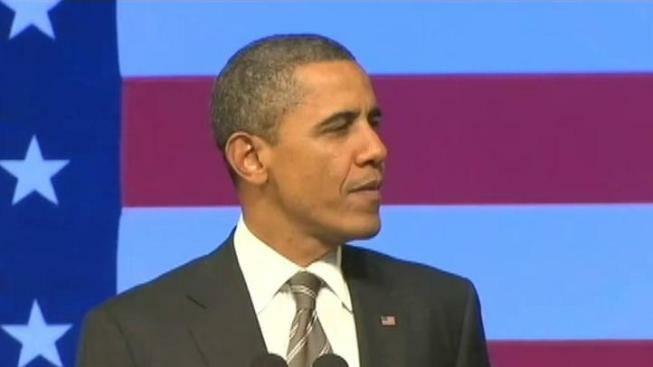 During that preceeding, Obama openly lobbied for the Bears to trade for stud quarterback Aaron Rodgers -- an utterance that couldn't have made current Bears quarterback Jay Cutler feel good. So, thanks for thinking of the team, Mr. President. You want to share your wisdom with Vincent Jackson next?